Becoming the “owner” of real estate is not quite as difficult as acquiring a wicked witch’s broom, but it is somewhat of a labored journey. The seemingly simple answer to the question of when one becomes the owner of real estate is: when title is transferred by way of a deed. Arriving at a more precise answer to this question is a bit more complicated due to the legal concepts of “equitable title” vs. “legal title”, when a deed is considered “delivered”, and whether or not a deed has been recorded. Why do these concepts matter? Basically, because pursuant to “Real Estate Law 101”: (i) real property ownership is more like the possession of a bundle of rights (vs. merely the possession of dirt and improvements on the dirt); (ii) a legal title owner has more of these rights to real property than an equitable title owner has; and (iii) a legal title holder whose deed has been recorded, will have greater protection from the possibility of other parties claiming that they have rights that are superior to those of the legal title holder. According to Black’s Law Dictionary (7th Ed. ), “equitable title” is “… a beneficial interest in property that gives the holder the right to acquire, formal legal tile.” When a buyer enters into a contract to purchase real property, the buyer acquires equitable title. It is the first step on the proverbial journey to Oz. Such equitable title, however consists of a small bundle of rights. In a simple contract for sale, the buyer would merely possess the right to acquire legal title, (and other limited rights granted by contract such as the right to inspect the property); but in a land contract, the buyer would also have the right to use and enjoy the property until enough payments are made to require the seller to transfer legal title to the buyer by delivery of a deed. When an individual possesses legal title, he or she gets the full bundle of legal rights that come with the property (except to any extent any such rights have been previously granted to others). Among these rights are possession, use and enjoyment, conveyance (i.e., the right to lease, sell, mortgage, transfer equitable title…), access, hypothecation and partition. Legal title also consists of a bundle of “physical” rights to real property such as water rights, mineral rights, timber rights, farming rights, air rights and development rights to erect improvements. How does one acquire legal title? Legal title is transferred from one person to another by “delivery” of a deed. Does a deed need to be recorded to legally transfer title? No. A deed need not be recorded (in the office of the county recorder in the county in which the property is located) to be valid as between grantor and grantee. However, the filing and recording of same is prima facie evidence of delivery, in the absence of any showing of fraud. Why record a deed, then? Without a recording of the deed, the grantee has little protection from its grantor, or anyone else from recording liens or other encumbrances against the title which would have priority over the unrecorded deed. Moreover, if the grantor transfers the same property by deed to another grantee (and the second grantee has no notice of the first transfer), prior to the first grantee taking possession; the second grantee owns the property and the first grantee owns a lawsuit. As the recent case of Turney, LLC v. Cuyahoga Cty. Bd. 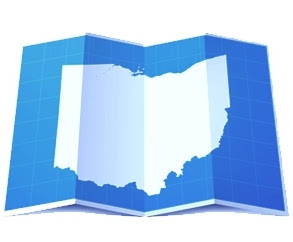 of Revision (2015-Ohio4086) illustrates, the terminology and principles surrounding property transfers and real estate ownership can be perplexing, even to attorneys and boards of revision. The facts of this case are simple enough. Turney, LLC (“Turney”) filed a tax complaint with the Cuyahoga County Board of Revision (“BOR’) on March 28, 2014, seeking a $500,000 reduction in market value for the 2013 tax year on property located on Dunham Road in Maple Heights, Ohio. The complaint for reduction was based upon the purchase price for the property which was sold in a recent, arms-length transaction. The Maple Heights Board of Education (“BOE”) argued that Turney failed to show that it was the owner of the subject property at the time the complaint was filed, and that the deed was not recorded until after Turney filed its complaint. The complaint was filed on March 28, 2014, and the deed was not recorded until April 21, 2014. The BOR dismissed the complaint, without considering the merits for reduction in value. It found that Turney was not the owner at the time it filed its complaint according to the recording date of the deed, and that Turney failed to otherwise show that it was the owner. Turney then appealed to the Cuyahoga County Court of Common Pleas which affirmed the dismissal of Turney’s complaint. Turney appealed this determination to the Eighth District Court of Appeals, claiming, as its sole assignment of error that the Cuyahoga County Court of Common Pleas erred when it upheld the decision of the BOR in dismissing Appellant’s tax complaint on the basis that the appellant was not the owner of the Property when the complaint was filed. Turney argued that it sufficiently demonstrated that it was the owner at the time it filed its complaint. The BOE argued that a party filing a tax valuation complaint as the owner should hold not merely legal title, but record title, and alternatively, if legal (vs record) title is the standard, recording was the only evidence of delivery of the Turney deed, which did not occur until April 2014. While the Turney deed was not recorded until April, 2014, the evidence showed that the deed was signed and notarized on March 21, 2014, delivered to Turney’s agent between March 21st and March 25th, and on March 25, 2014 funds were exchanged and the property closed (even though the settlement statements were never dated). Applying the facts to the law, the Eighth District Court of Appeals concluded that the delivery of the Turney deed to its agent and the closing of the transaction prior to the filing date demonstrated that Tully was legal owner at the time it filed its valuation complaint; that Turney did not have to be record owner at time of filing; and therefore, “the BOR and common pleas court erred in dismissing Turney’s complaint as jurisdictionally defective.” The case was then reversed and remanded to the lower court for further proceedings consistent with the court’s opinion. The moral of this story is simple. Neither a witch’s broom, nor recording is required to establish proof of real estate ownership. But, do it anyway (the deed, not the broom). Record the deed (or confirm your agent has recorded the deed upon, or ASAP after closing. Since all that is legally required to establish a prima facie case of delivery of a valid deed, and hence, ownership of real property is a few dollars a page recording fee to the local county recorder…. record the deed. You also get the positive side effect of being able to claim superior rights in your real property, against all others (subject, of course to any prior encumbrances transferred with title). While the appellant ultimately prevailed in Turney, it could have saved a whole heck of a lot of time and legal fees along its yellow brick road to real estate ownership by helping to ensure that its deed was promptly recorded.